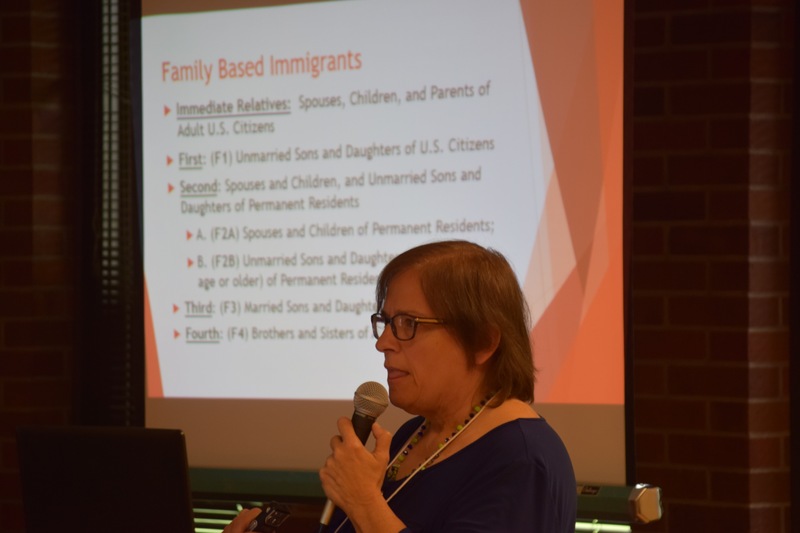 Over forty people from throughout the Conference gathered together on September 28th and 29th for round table discussions on the theme of immigration justice. The Mennonite Central Committee provided grant funding for the round-table as well as several speakers. 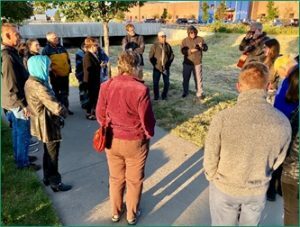 The event began with a prayer service at the Denver immigrant detention center and ended with worship and prayer Saturday evening in Fort Collins. 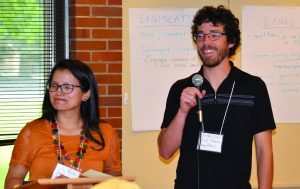 In between, attendees learned and shared about the many ways Mountain States individuals, churches, and nonprofit organizations have worked for immigrant justice. 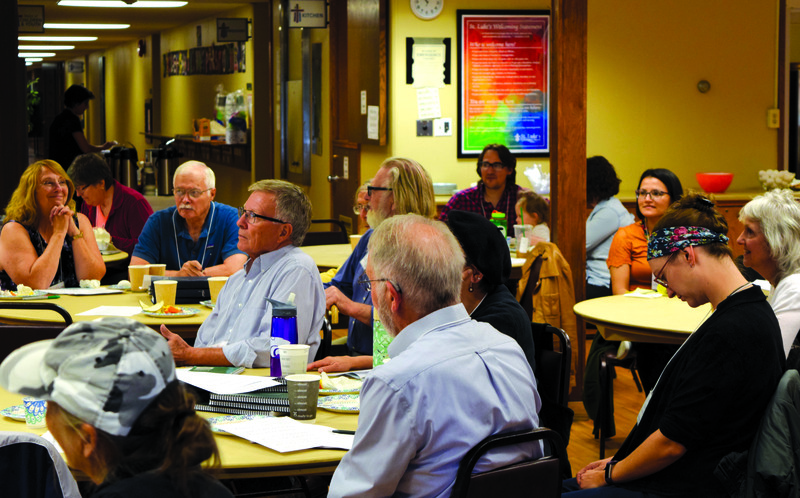 On Saturday morning, the gathered group interspersed worship with hearing from the various ways Mountain States churches are working for immigrant justice. 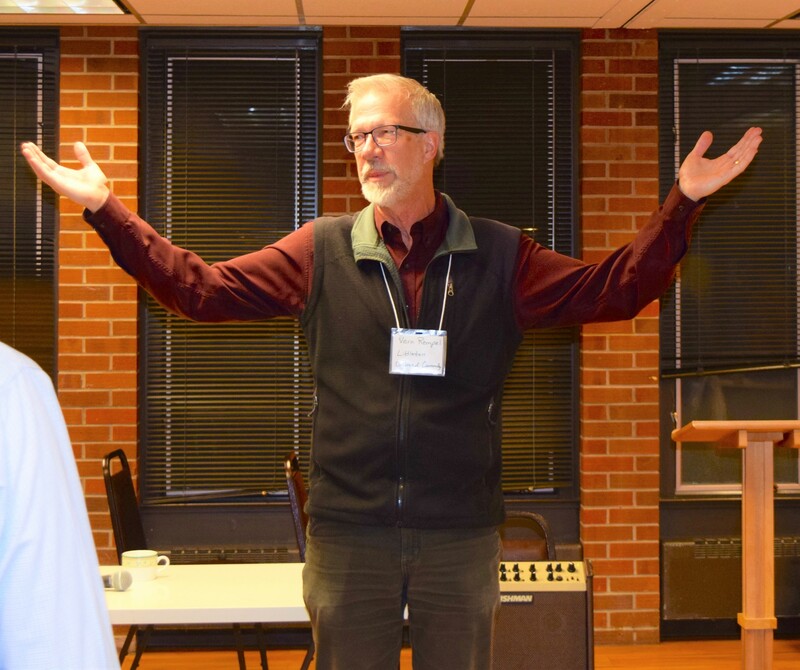 After introduction by Barry Bartel and Zach Martinez, members of Sojourn Mennonite, Beth-El Mennonite, Mountain Community Mennonite Church, and Albuquerque Mennonite all shared. 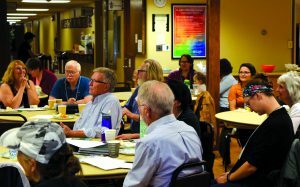 Sojourn Mennonite has played a key role in setting up emergency funds for local Dreamers and has also been a part of the sanctuary movement. 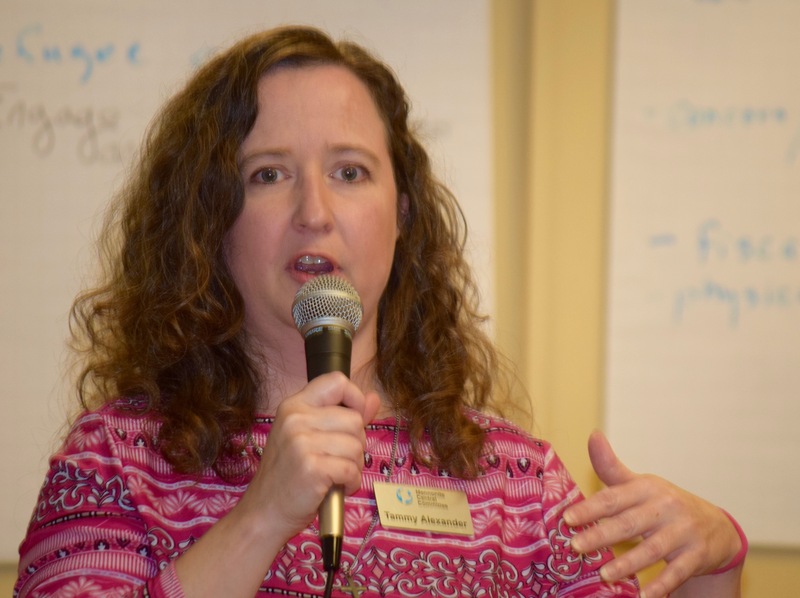 At Albuquerque Mennonite, members spoke about their involvement with refugee resettlement through and their work with the New Mexico Faith Coalition for Immigrant Justice. In the afternoon, the group heard presentations on policy, legal issues, and perspectives from south of the border. 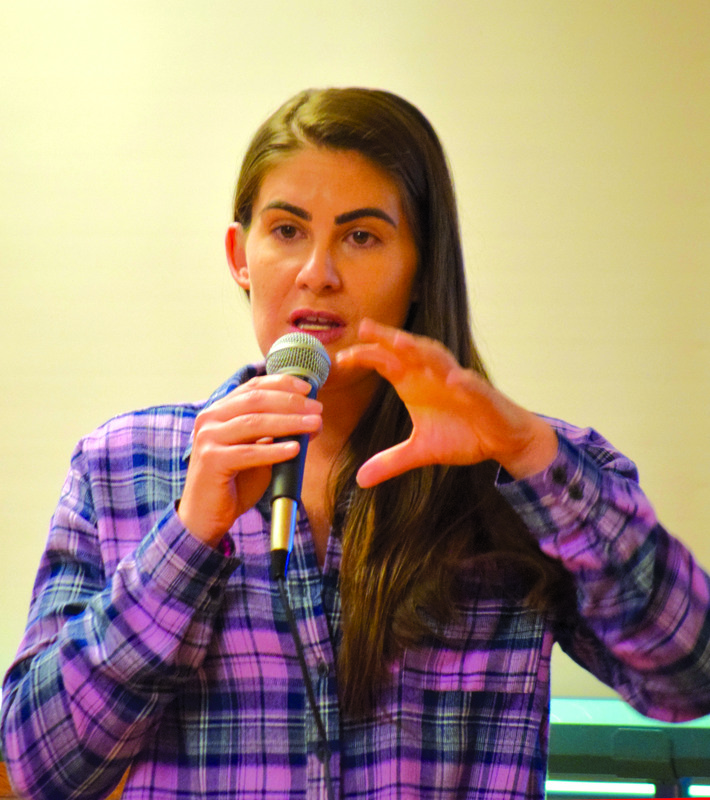 From the MCC Washington DC office, Tammy Alexander spoke the dizzying ways that policy has changed under the Trump administration, while also reminding people that some of the groundwork for the Trump administration was laid by President Obama, who was given the nick-name “deporter-in-chief.” Saulo Padilla, MCC US Immigration Coordinator, shared about his own experience as an immigrant, the tragedy of thousands of migrant deaths in the desert, and some of MCC’s work on immigrant justice. 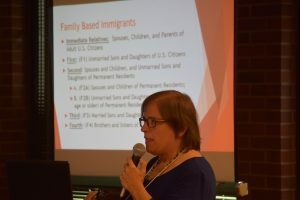 Later, Rebecca Gonzalez Torres and Fernando Perez Ventura of Mexico, and Leidy Muñoz of Colombia shared their experiences from Latin America. Torres and Ventura spoke passionately about not just caring for the physical needs of immigrants and refugees, but also the need to deeply listen, validate, and pay attention to spiritual needs as well. 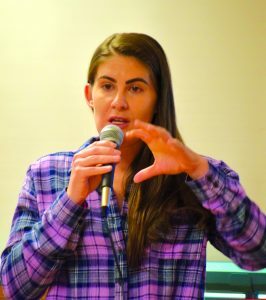 Leidy Muñoz, MCC Co-Country Representative in Bolivia, spoke from her experience in Colombia and Bolivia with immigrants and displaced people. 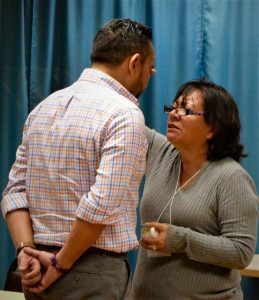 As time came to a close at the conference, worshiping in English and Spanish, the attendees shared hugs and blessings and left with escape the furthest thing from their minds.